Love the fresh flowers of springtime? Bring them inside by ordering a spring flower arrangement from GLADEWATER FLOWER SHOP, your local Gladewater flower shop. You will love gazing at your beautiful blooms all week long. Know someone who needs a little appreciation? 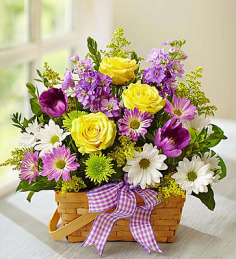 Send spring flowers to lift their spirits, no matter if they live next door or across the country, GLADEWATER FLOWER SHOP can help!